Get more HEMI power from Wiseco! Stroker pistons! Get more HEMI power from Wiseco! Check them out! 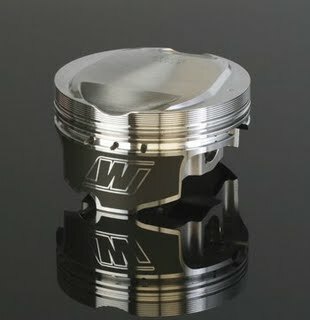 Wiseco is the first in the industry to offer stroker pistons for the new 5.7 and 6.1 Hemi. These pistons have dedicated forgings, ArmorGlide. skirt coatings, and nitrided rings. Our special skirt design and shape is perfect for street use or drag racing. Wiseco's new ArmorGlide. brings you the ultimate in skirt coating toughness, lubrication, and bond technology working together to minimize friction, maximize horsepower, and provide improved wear resistance. It is a permanent skirt coating and allows the piston to be fitted tighter within the bore than non-coated pistons, bringing you better ring seal and reduced noise from piston rock. Check out our full line of 5.7 and 6.1 Hemi pistons to find what works best for you. Give us a call or contact us online at www.wiseco.com.